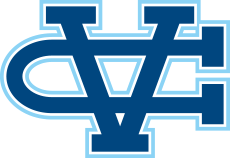 Fresno, CA - The Valley Christian boys Cross Country team competed in their first State Championship in school history, Saturday. The boys punched their ticket to Fresno after finishing second at the CCS Championship two weeks ago. It was two sophomores that led the way for the Warriors for the third consecutive week. Joe Renati and Mitchell Rohr, a transfer from Tenessee, have been stellar through the championship season. Renati opened with a 5:07 mile with the team in tow. Nedu Ndili came through in 5:10, Rohr in 5:16. A jumbled pack of of California's top harriers make the second mile a strategic one. Splits are deceptive as the middle mile twists and turns over rolling hills before ending with the largest climb on the course. The second mile is the highest point of the course, the mile the lowest. A consistent effort for even the best runners will see a positive split in the second mile. Holding strong Renati went through two miles in 10:45, impressive, considering just last spring his fastest ever 2 mile was 10:35. He hheld on to cross first for the team in 16:41, a personal best and a mark that is #2 all-time. Mitchell Rohr was next to finish in 17:33, just off of his best of 17:15 which he ran at the Clovis Invitational earlier this season. Nedu Ndili (17:37) and Samuel Cuevas (18:38) caught some bad fortune both caming down with colds earlier in the week. Rounding out the scoring team was Cameron Lockard and Peter Enfantino. Lockard finished just 5 seconds off his personal in 17:50 while Peter Enfantino finished in a lifetime best of 17:51. Justin Baraona closed out the season with an 18:39. "Being the first team in school history to make it to state makes the whole experience just that much more special," Cameron Lockard said about the race. "It really shows the talent that we have coming through our program. We have been one of the younger varsity teams for the past couple years and it is nice to end the season at the State Meet. "It is also exciting thinking about what we will be able to accomplish next season with an older veteran varsity team." The boys return six of their seven varsity runners next season.